The Quartermaster has all-new customization items available now. Exchange Call of Duty Points with the Quartermaster to get your hands on Supply Drops containing the latest MP loot. 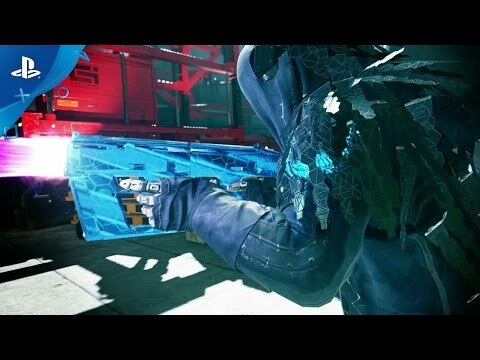 Deadly new Prototype Weapons offer even more ways to wreak havoc on the competition while unique Weapon Camos, Accessories, and Taunts take your customization game to the next level. Visit the Quartermaster to get your hands on the latest items and find a new favorite today. The Mark II Prototypes, or MKIIs, are awesome new prototype weapons that grant 15% bonus rank XP per kill when equipped. This extra bonus, along with their unique shimmering hex camo aesthetic, makes MKIIs the perfect choice for anyone looking to make every shot count on the battlefield—and look good while they do it. Visit the Quartermaster for a chance to add these powerful new weapon innovations to your arsenal. The Quartermaster has a ton of new weapons now available, including three new Epic Prototypes: the Switchblade, the Sentinel, and the Cyclopean. An exotic design of unknown origin, some speculate that this beam energy firearm was a prototype for the Steel Dragon. Perfect for decimating targets with a concentrated particle beam of energy. A semi-automatic energy pistol that releases a wide energy blast in a shotgun-style spread. This bad boy is a full-auto, heavy ballistic beast that will mow down targets in an ultra-rapid fire hail of bullets. Visit the Quartermaster for the chance to add these all-new weapons to your arsenal. Take your customization game to the next level with all new Weapon Camos.